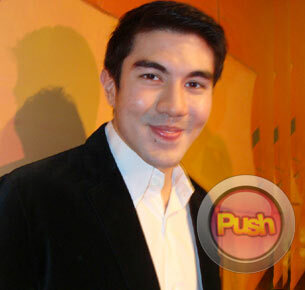 Luis Manzano believes that every TV network has the right to produce a show that aims to make the audience laugh. Luis Manzano takes on another hosting job with the comedy prank show Laugh Out Loud which premieres on December 4. Laugh Out Loud, or LOL, will feature funny videos of unsuspecting people caught in unusual pranks. Luis shared, "What makes LOL different is that the pranks are well-thought-of. We assure you that we will bring 99.9% of laughter right on your TV screens." But with a handful of other programs having a similar format currently airing in rival stations, LOL may be seen as a "copycat." Luis immediately defended LOL by saying that no network can claim ownership of the gag/prank show format. "I think there are more shows that came before. We can't even claim na talagang nauna na sila, not just in the Philippines." Luis added that the only intention of ABS-CBN is to bring back comedy into the primetime block which recently has been mostly dominated by drama programs. "There is so much laughter needed in this world for only one station. Kung nagawa na 'yan ng certain channel, it doesn't mean na ABS-CBN will not have the right na gumawa ng sarili nilang show na magpatawa o magpasaya ng ibang tao. I think it'rsquo;s foolish to say na porke nagawa na [ng ibang station], that means hindi na tayo puwedeng magpasaya ng tao." Already an acclaimed and award-winning host at a young age, Luis is now being compared to the trio of Tito Sotto, Vic Sotto, and Joey De Leon who are pioneers in the field of comedy show hosting. However, Luis said he does not intend to compete with the respectable trio. "Iba talaga ang nagawa ng TVJ not just for every channel, kundi 'lsquo;yung ginawa nila sa industriya. Kung makakabangga ko sila, if you will, makakabangga ko sila, with my utmost humility. Kasi iba talaga ang paghanga ko kanila. Gagampanan ko lang ang trabaho ko."